Heston Blumenthal eat your heart out! We present a disturbingly enchanted feast to feed your absurd edible fantasies. 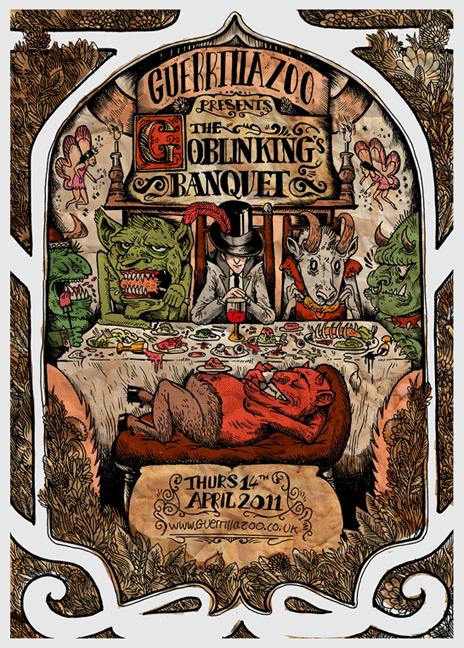 For one night only the Goblin King presents his most ill-frequented and unpopular goblin noshery for all your delectable delicacies! 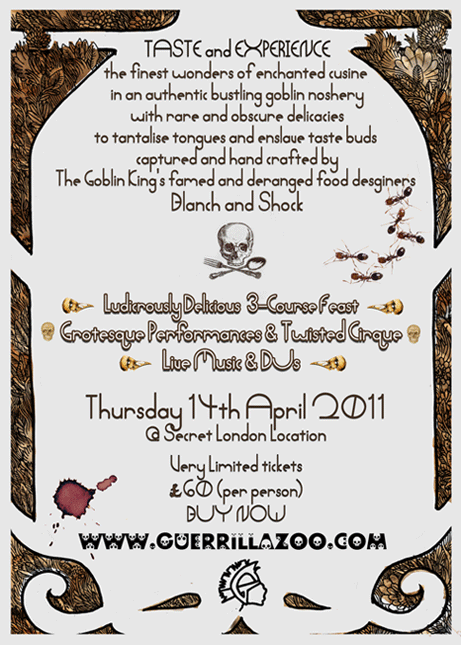 The finest wonders of enchanted cusine in an authentic bustling goblin mess hall, with rare and obscure delicacies to tantalise tongues and enslave taste buds, captured and hand crafted by The Goblin King’s famed and deranged food desginers Blanch and Shock. ...and try not to get eaten!